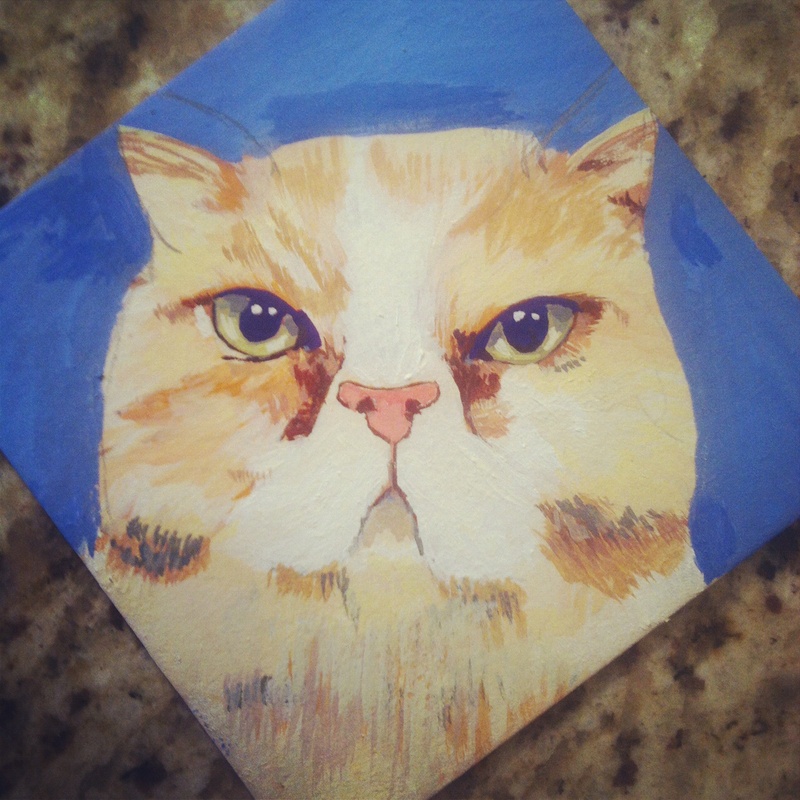 Ahh this is the cat that didn’t quite make it as a beer mat for the Inkygoodness Beer Mat character exhibition in London (he just wasn’t finished in time!) poor fellow I was still fixing his ears! But I felt he couldn’t spend his whole life in the shadows so I thought he might make a good (slightly belated!) Halloween post! (He with the freakishly small ears!) -so here he is in all his gouache goodness!